Jane had always lived in somebody’s shadow. 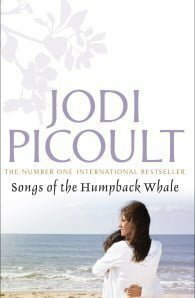 Escaping a childhood of abuse by marrying oceanographer Oliver Jones, she finds herself taking second place to his increasingly successful career. However, when her daughter Rebecca is similarly treated, Jane’s dramatic stand takes them all by surprise. Leaving Oliver and his whale tapes behind in San Diego, Jane and Rebecca set out to drive across America to Jane’s brother Joley and the sanctuary of the Massachusetts apple orchard where he works. Joley directs Jane across the United States in a series of letters waiting for her in designated post offices. Each letter gives concise directions to the next post office; each letter provides Jane with a chance to reflect on her forgotten past. Oliver, used to tracking male humpback whales across vast oceans, now has the task of tracking his wife across a continent. To do so he must learn to see the world – and even himself – through her eyes.